Recent release “Chaos in the Household 1” from Page Publishing author B.L. Lantz examines the author’s own experience of being a teacher, mother and grandmother. Focus is put on the disciplinary philosophy of creating choices for children and the benefits of consistent discipline. B.L. Lantz, a retired teacher, mother, grandmother, devoted writer and author, has completed her newest endeavor, “Chaos in the Household 1”. B.L Lantz is also the author of the “Chaos in the Classroom” series. 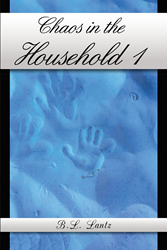 “Chaos in the Household 1” is a unique handbook to parenting and being a caretaker. This work twists in various philosophies and adapts a Christian belief to the raising of children. Published by New York City-based Page Publishing, B.L. Lantz’s guidebook is the perfect addition to any parent, grandparent or caretaker’s book collection! Lantz shares, “’Chaos in the Household 1’ is the first book I have written about my own experiences as a mother, grandmother, and caretaker! Even though I graduated with a master’s degree in counseling from Northern Illinois University, I still think I had a lot of learning to do when raising my own children and stepchildren! I have heard many people say it is more fun entertaining your grandchildren that your own children, and they were correct! Maybe it was because as a grandmother Nonee, the caretaker, I did not have to enforce strict discipline, just change their diapers and feed, play and laugh with them! Readers who wish to experience this insightful work can purchase “Chaos in the Household 1” at bookstores everywhere, or online at the Apple iTunes store, Amazon, Kobo, Google Play or Barnes and Noble.